Letv the celebrated internet conglomerate in China that is expected to enter India in early 2016, envisions redefining the mobile UI space. As a listed internet conglomerate in China, Letv is committed to create the “Letv Ecosystem”, an all-inclusive vertically-integrated environment offering devices, content and applications – revolving around a next generation Internet engine. Letv’s EUI (Eco User Interface) is an open source user environment for smart devices including Superphones, that allows app developers to access and modify the interface to further enhance the offerings that can be provided on the platform. Based on the CP2C (customer planning to customer) model, Letv’s EUI ensures the platform is adaptable to almost every user’s needs. The closed-loop EUI platform is open to all hardware manufacturers, without compromising on the quality of experience provided by Letv’s unique user platform. The EUI has an innovative multi-desktop interface – ‘LeView’ that provides users access to the various features- integrating five main features which includes search, aggregation, recommendation, comments and sharing; serving as a cross-device hub which can potentially redefine the boundaries of the mobile internet experience. Letv owned proprietary apps like Le Video, Music, Sports, LeCloud and Live+ are also supported across Letv devices, with the EUI and the Le Cloud Platform coming together to deliver a unique and exciting experience, based on the synergy of “Platform + Content+ Device+ Application”. The EUI integrates and connects on three layers- Interaction, content and services, a disruptive innovation that brings great value to users like never before. Letv’s ecosystem is available for users to access a wide range of content externally while simultaneously enabling a superior and secure content experience. 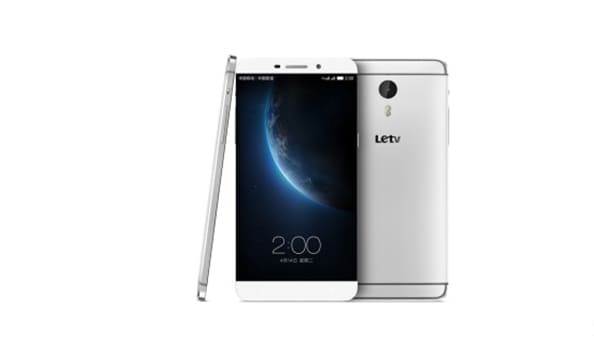 The rumoured Le Superphones that are expected to be launched in India are also said to feature the Letv EUI which makes the Superphone undeniably ‘super’ with its unique bezel-less industrial design, full-floating glass, all metal body, Hi – FI sound system, finger print scanner with instantaneous detection, and USB type C port with reversible plug. Features such as a super-fast charger providing 3-5 hours of talk time with only five minutes of charging and professional optical image stabilizer among others only add to the super qualities of Letv’s Superphones providing Indian consumers with a superior mobile phone experience like never before, at affordable prices. With such amazing features and the proposition of providing a truly SUPERior user experience, Le Superphones are set to be the new norm for affordable luxury.